The American dream, personified and striven for. A tragedy for our time. Arthur Miller was born in New York City. His father lost his business in the Depression and the family was forced to move to a smaller home in Brooklyn. As a young man, Miller held jobs ranging from radio singer to truck driver to clerk. Miller began writing plays as a student at the University of Michigan, joining the Federal Theater Project in New York City after he received his degree. His first Broadway play, 'The Man Who Had All the Luck' opened in 1944 and his next play 'All My Sons' received the Drama Critics' Circle Award. His 1949 'Death of a Salesman' won the Pulitzer Prize and is considered to be his most successful play. In 1956 and 1957, Miller was subpoenaed by the House Un-American Activities Committee and was convicted of contempt of Congress for his refusal to identify writers believed to hold Communist sympathies. The following year, the United States Court of Appeals overturned the conviction. In 1959 the National Institute of Arts and Letters awarded him the Gold Medal for Drama. Miller was married three times, most famously, his second wife was Marilyn Monroe. His writing earned him a plethora of honours, including the Pulitzer Prize, seven Tony Awards, two Drama Critics Circle Awards, an Obie, an Olivier, the John F. Kennedy Lifetime Achievement Award, and the Dorothy and Lillian Gish prize. He held honorary doctorate degrees from Oxford University and Harvard University. Throughout his life and work, Miller remained socially engaged and wrote with conscience, clarity, and compassion. Miller's work was infused with his sense of responsibility to humanity and to his audience. 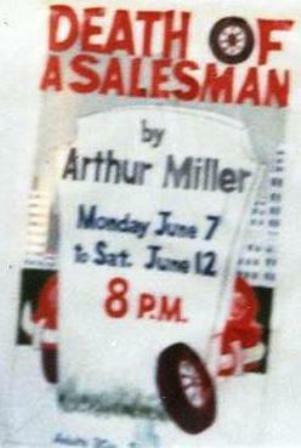 Death of a Salesman tells the story of Willy Loman, an aging salesman who makes his way "on a smile and a shoeshine." Miller lifts Willy's illusions and failures, his anguish and his family relationships, to the scale of a tragic hero. It opened at the Morosco Theatre on February 10, 1949 and ran for 743 performances. The play won six Tony Awards, including Best Play and Best Author for Miller and garnered Miller the 1949 Pulitzer Prize for Drama. 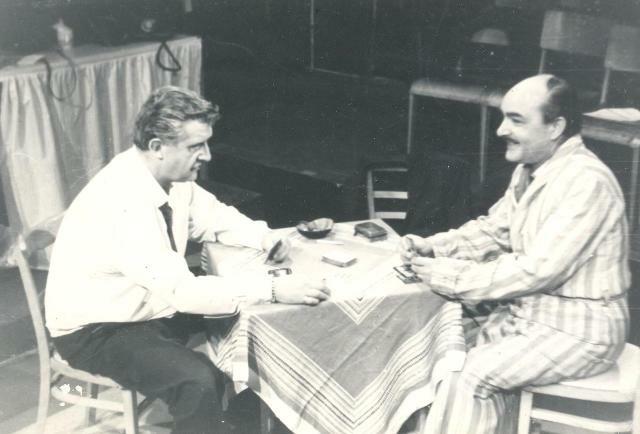 The play made lead actor Lee J. Cobb, as Willy Loman, an icon of the stage and a contemporary classic was recognised. 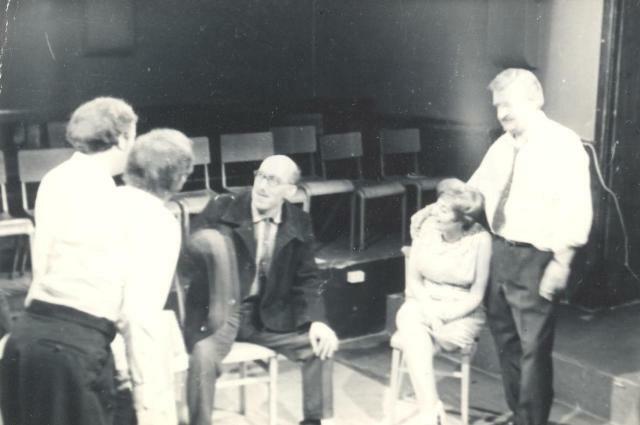 Bench Theatre's original name was 'Theatre Union' and was later changed to reflect the name of the theatre in West Street where most of their productions were staged. 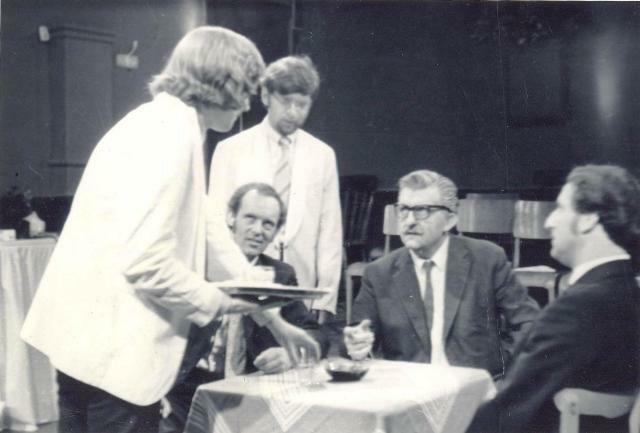 This play was performed under the original Theatre Union name at The Bench Theatre in West Street. 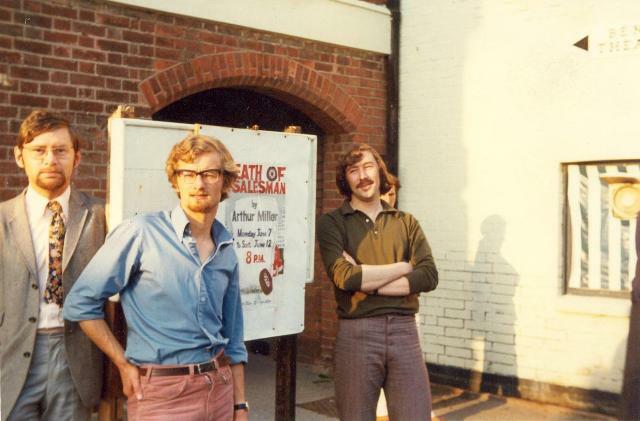 It was the company's first major production at that venue since the building was converted from its previous use as a Magistrates' Court in 1970. Theatre Union - Havant's thriving young drama group - last week passed one of the sternest tests the stage can offer. Its Bench Theatre production of 'Death of a Salesman' never toppled over the precarious knife-edge that separates tragedy from pathos. If anything, the tiny setting of the Bench made the danger all the more acute - an audience can be too close to the events on stage. But producer Tim Mahoney turned even this to advantage, creating an atmosphere of heated intimacy that is peculiarly appropriate to Arthur Miller's play. It is principally to Mr Mahoney's credit, of course, that his talented cast never lost its grip on the tragic tightrope, and it is to his credit too that the sound and lighting effects were so precisely integrated in to the scheme of the play. The flashback technique never caused any problem. But inevitably the final plaudits must go to the cast itself. 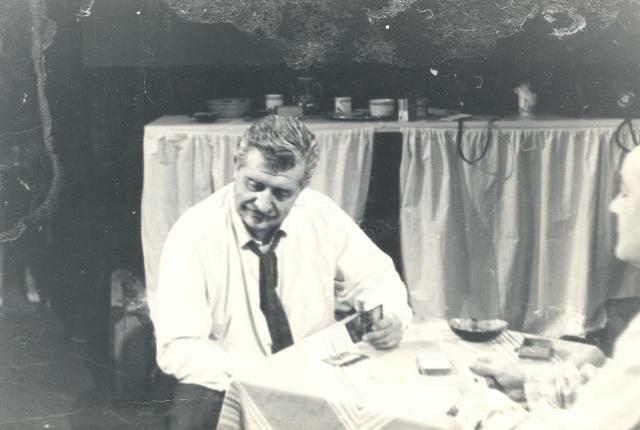 Ray Osborne as Willy Loman and Eve Moore as his wife proved themselves to be players who can hold an audience in the palm of their hands - by quite different methods. The one was all action - and the other was all dignity. There was little need for the suspension of disbelief while they were on stage. David Spackman, Helena Whalley and John Davis are among those who shone brightly in smaller parts, but for once there were no weaknesses. The resources of Theatre Union seem to be plentiful, and that is another sign of great things to come. Even in plotting his own death, Willy Loman cannot "burn that phoney dream" of being a man that matters, a man who has friends in every city. He has never grown up, never found his own identity. The wife who is his foundation calls him a little boat in search of a harbour. He is, I suppose, a man destined in his dreams for tragedy. And a terrible, beautiful, moving tragedy Arthur Miller has made of him. 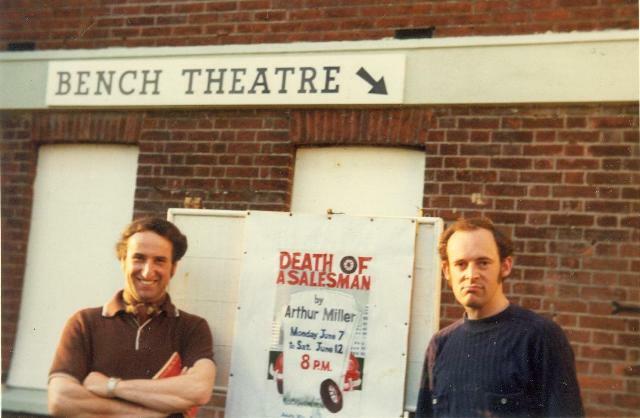 The play is 'Death of a Salesman' and this week it becomes the first major production by Theatre Union is its own Bench Theatre at West Street, Havant. The production by Tim Mahoney shows that this lively group is, unlike Willy Loman, growing up fast. It has turned the limitations of its tiny theatre to positive advantage, creating an atmosphere of heated intimacy that is peculiarly appropriate to this play. Clever casting, lighting and sound effects, and special music written by Tony Starr - all show the huge resources of Theatre Union. But what counts most of all, of course, is the quality of the personnel on stage. There is not one serious weakness in this production. Ray Osborne I have saluted before. It is enough to say that he filled the role of Willy - fumbling, muttering, blustering and gesturing - exactly as it should be filled. But Eve Moore as his wife was his equal. Never mind about her unreliable American accent - she gave an ineffably natural performance of rare conviction with never a trace of over-emphasis. Derek Cusdin and Tony Starr (again) as the two sons contrasted well, and there were some notable achievements in the minor parts. But all I can say is this: go and see it at the Bench this week.